Couldn't be be more perfect! 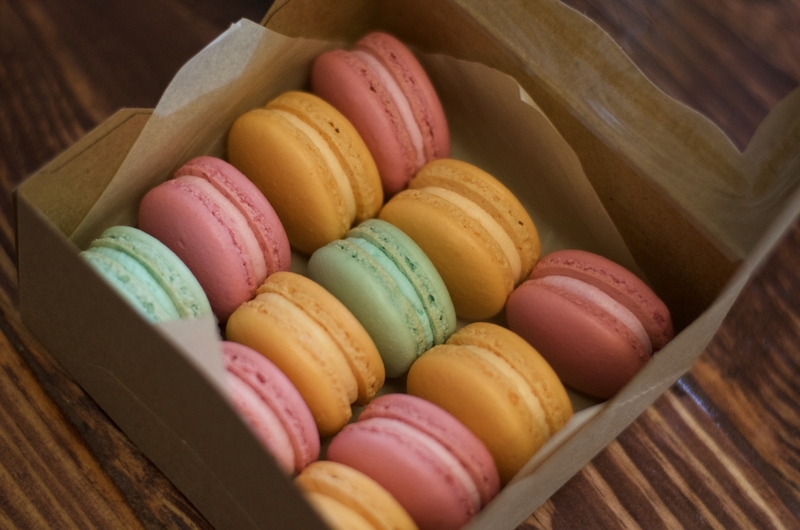 Perfect size for my little French macarons with a little wiggle room! Love the window which just entices the customer to open up! Top that off with excellent customer service. I just made a simple request and got quick no-hassle service which I feel is so rare! This was a great purchase for packaging 6 pastries. Very easy and quick unfold and you are ready to go. In addition, BRP did a great job in shipping my items very fast, and that was appreciated. These boxes are great. I make 5 inch pies and wanted something sturdy to put them in for individual sales. Boxes are already assembled, and super easy to use. Thanks for a great product! Best UsesSmall pies, penny candy, anything else that will fit. Fast shipping, great quality, look professional! I ordered these hinged 5x5 boxes to put a single elf cookie in for my customers. They are the perfect size! The quality is excellent and they arrived in just a few days! I will definitely be ordering more in the future! Every order i placed with BRP I am blown away with the timeliness of delivery and the quality of boxes. These boxes are SOOO much easier to assemble...worth paying the extra, makes for less time making up boxes. Thank you for a steady delivery as always. Every thing about this company first rate all the way ! We have been ordering from BRP for several years and as always the process was seamless. I called and spoke to a super knowledgeable and helpful gal who directed me to the size I was looking for (and hadn't applied logic to my search or I would have found them easily myself). Ordered and received them within a few days. As always they are EXACTLY what we needed and great quality. 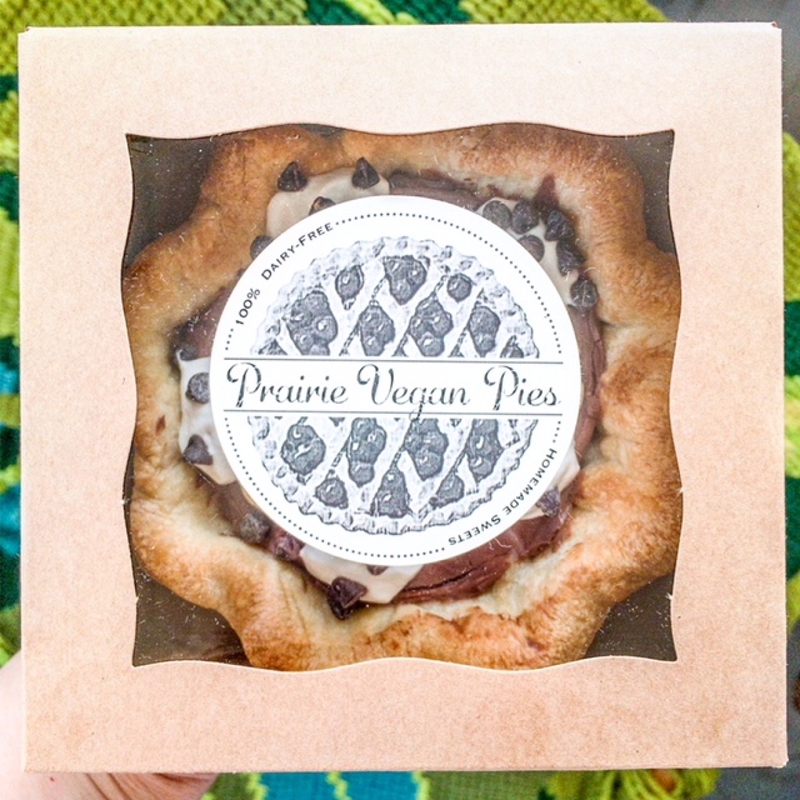 Our mini vegan/gluten free chocolate peanut butter cream pies look amazing in them! Thanks BRP for making us look great again! I love the timesaver box with the quick assembly. They are easy to use and look nice. While they ended up too small for my purpose I'm sure I will find another use for them. Best UsesPies and cheesecakes smaller than 5". This box works great for cookies & small cakes! Opens quickly too! I had searched for the right packaging for this project and found just the right box for a special order. I had an order for an odd size pie and BRPBox had them to my shop within 5 days of ordering, I couldn't be more happy. These boxes look adorable with the window. Perfect size for my mini tarts. And the best is that you don't waste time assembling them. So we ordered these boxes for our favors for the wedding. We are having whoopie pies (gobs) boxed up for our guests. These are super cute! The assembly is super quick and easy. Will upload a picture when they are all finished. Easy to pop open, great paper weight, the perfect size for black and white cookies as a wedding favor. This box is great for 1 dozen mini cookies. Just enough cookies to show someone your love! Best UsesA few bigger cookies, brownies, yummy mini cookies. I line it with BRP greaseproof sheets and the presentation is great! Boxes exactly as described. Used for a wedding and loved the look. These are perfect for my 5" mini fruit pies! Good quality and easy to assemble! Use them for my mini pound cakes, mini coconut layer cakes. Love them! These were the perfect size for the mini apple pies that we gave to each guest that came to my daughters wedding! The brown look of the box fit in so great with her rustic theme and the clear window was perfect! I've been struggling with what to put smaller baked good in (styrofoam, box, plastic container). This is the solution and I love it. It is petite, economical and displays the dessert perfectly. Would definitely order again. The description says it all. This box is easy to assemble and saves time! It showcases my cookies perfectly! Thanks BRP! 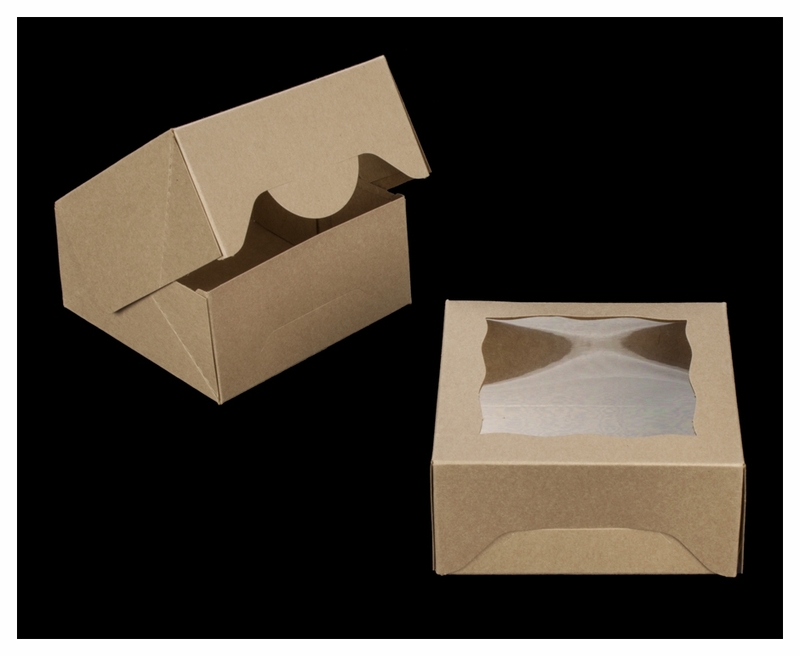 Boxes are easy to use and very professional looking. 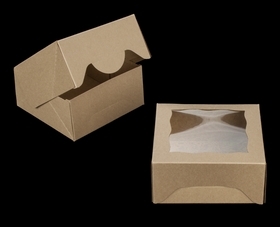 I found the boxes to be made with good quality materials. They exceeded my expectations and was very pleased with them. I make doggie birthday cakes and this is perfect for them. I bake for our local farmers market and love to bake items in individual tart pans that are perfect of 1 or two people or someone that wants to give a gift. The 6" boxes were too big and the 4" too small. Packaging does sell products, so I'm very happy BRP has introduced them this year! Perfect size!! 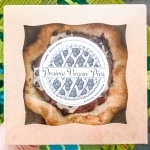 Best UsesIndividual tarts, smaller size baked goods. Very good quality box- does not look or feel cheap. 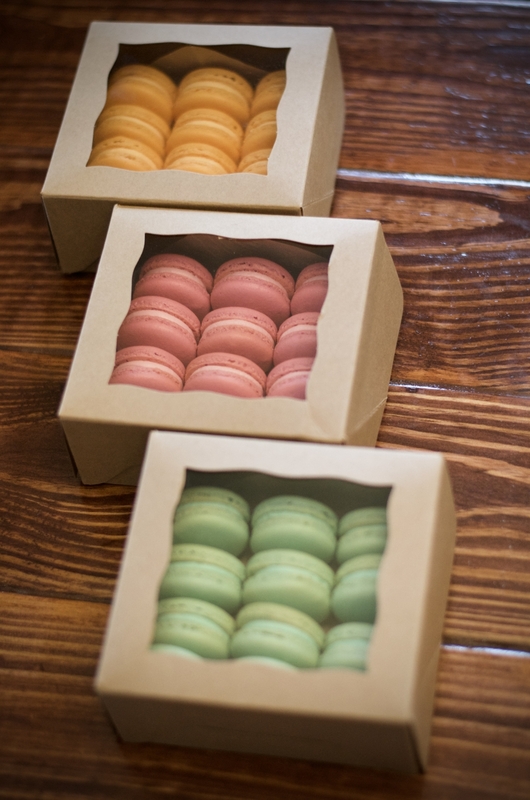 The color allows for a lot of creativity in embellishments for the packaging. Fast delivery. This is my 2nd time ordering from this company and I will defiantly order in the future!